Step One | For the base: Preheat oven to 180 degrees/gas mark 4. Combine the butter and sugar for 1-2 minutes until smoother then sift in the flour and mix until a soft dough forms. Press into your tin but push it slightly up the sides. Bake for 15 minutes and then allow to cool. Step Two | For the filling: Combine (just whisk) the eggs, sugar, lemon zest and lemon juice until smooth. Sift the flour in and blend until incorporated. Pour this over the cooled base and bake for 40 minutes until golden brown. Remove and allow to cool. 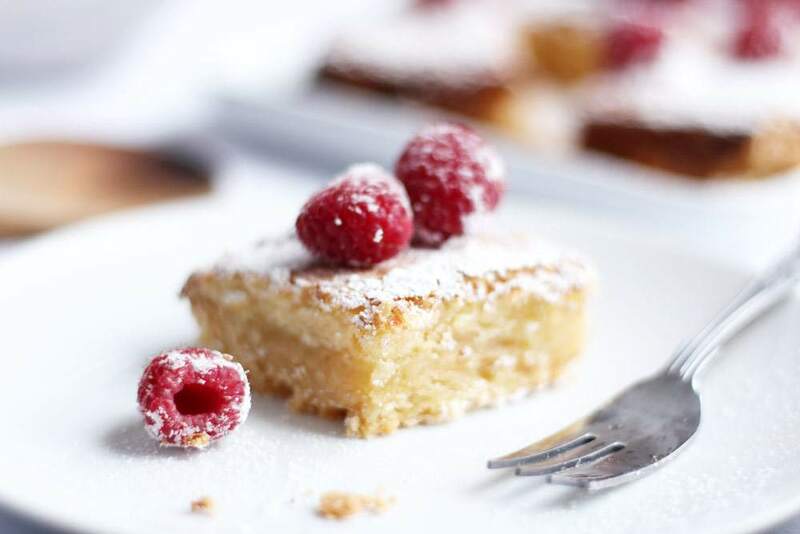 Run a knife around the outside to remove it from the tin, arrange the raspberries on the top and dust with icing sugar. There you have it. You basically have to chuck two lots of things together and then bake them – easy, right? right. 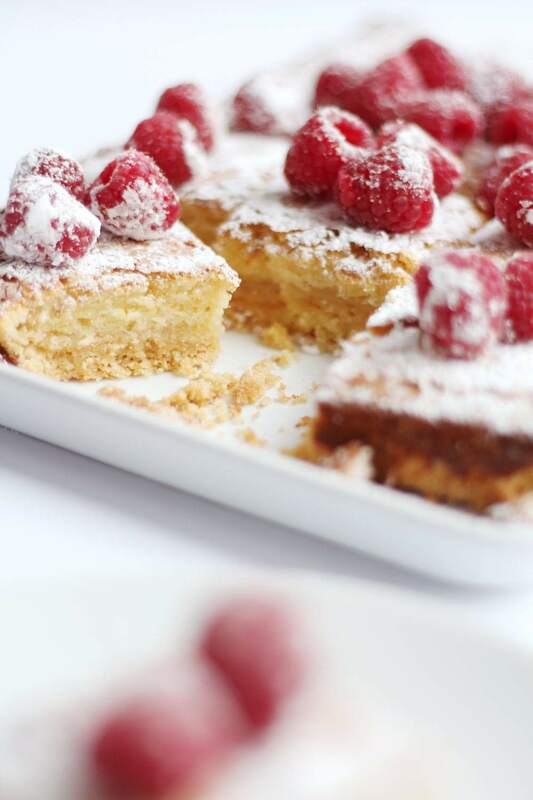 Let me know if you make this Lemon Raspberry Traybake or any of my other bakes.